this phone? i mean this phone, oh this phone is the best!planning on buying this year.. nothing compares!!! I do have a set yet,though so many new sets are arrived,this is the best i've ever seen. I really want to buy one. Don't know where though. using past 12 years Since 2000 still Running as new. I think everyone owned a 3310, no software problems,no phone freezing, and a great battery life... ahh the good old days. 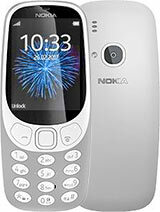 Total of 2474 user reviews and opinions for Nokia 3310.